2018 marks the twentieth anniversary of Daniel Gwirtzman Dance Company! Since our inception we have demonstrated a commitment to education. We operate as a nonprofit under the belief that everyone can join the dance; our mission is to educate the public about the art of dance in meaningful, direct ways. We are in the midst of an exciting anniversary season that culminates with a weekend of live performances at the 92nd Street Y in Manhattan, February 22-24, 2019. Over many years, different forms of external support, foundational, corporate, governmental, and individual, have enabled us to expand the scope and codify the pedagogy of our educational programming, instilling positivity in a wide range of populations. Our programs continue to earn the Company praise in the field, along with teaching and performance residencies throughout the world. Daniel Gwirtzman Dance Company, a nonprofit educational corporation, is committed to educating the public about dance. That’s what we do! The funds we raise are used to help underwrite our programming. This year, as with every past year, we are able to provide free performances and workshops within a variety of settings including public schools, community centers, and outdoor theaters. Our mission centers around giving a meaningful dance experience to as broad a community as possible. Your contributions are tax-exempt to the fullest extent allowed by law. We are deeply appreciative for the generous support of individuals, corporations, and foundations. Become a friend of the Company’s! 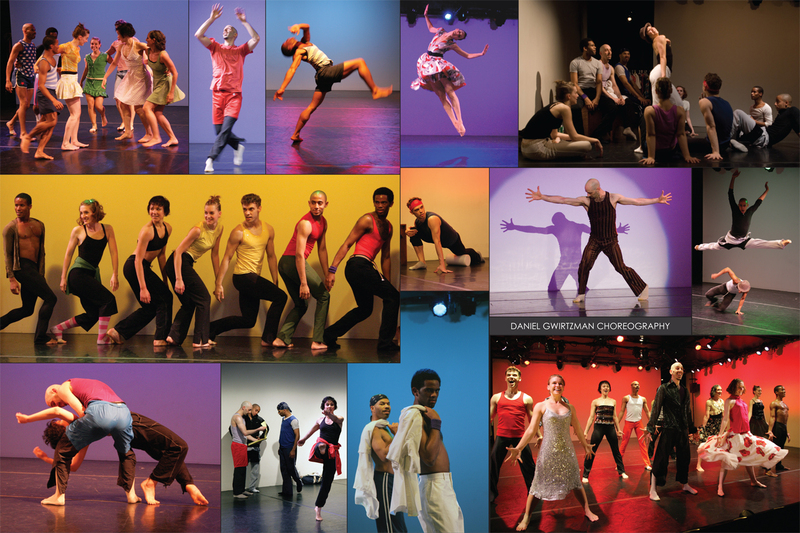 With your contribution of $100 or more, we will send you our glossy, full color, two-pocket limited edition Daniel Gwirtzman Dance Company folder, featuring photographs of Encore. Perfect for the lover of dance or student to store memorable programs or dance postcards. The vibrant centerfold photograph of us performing in Times Square features an all-star cast: Jonathan Alsberry (Lar Lubovitch), Jamie Scott (Trisha Brown Dance Company), Stacy Martorana (Mark Morris Dance Group), Michael Novak (Paul Taylor Dance Company), Christian von Howard (Artistic Director, Von Howard Project), Madeline Hoak (aerialist extraordinaire), Corey Wright (Chicago), Preston Miller (film producer), Cary McWilliam (original Company member), Jessica Vokoun (Professor, University of Tulsa) and DG!